With just over a week to go before this year’s first triathlon I thought I should give you an update into my very disorganised preparation. This is still the part of the triathlon that’s scaring me, not because I’m a bad swimmer but because swimming in a wetsuit in open water is a whole new ball game. It’s the bit that screwed me last time, taking twice as long as I’d hoped. 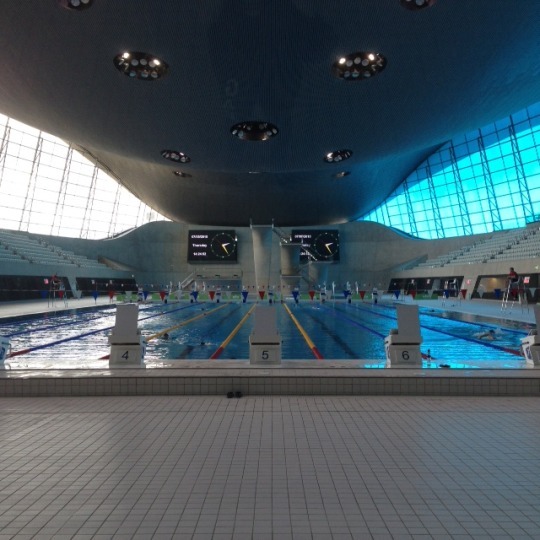 I’m also still swimming breaststroke 90% of the time which is fine in a lovely pool like the Olympic Aquatics Centre but it’s pretty heavy on the legs which is not ideal when you have a bike and a run phase coming up next. I’ve swum no more than 3 or 4 times in the run up to this triathlon between 1km – 1.7km but not in open water and not in a wetsuit. Whoops. This little baby has only been back on the road for 2 weeks and my first training ride was aborted when the road circuit at the Olympic park was closed to count the votes last week! Luckily I’ve been cycling all over London on my rusty old mountain bike which weighs more than me (not really but nearly…) and spinning at least twice a week for the past couple of months. 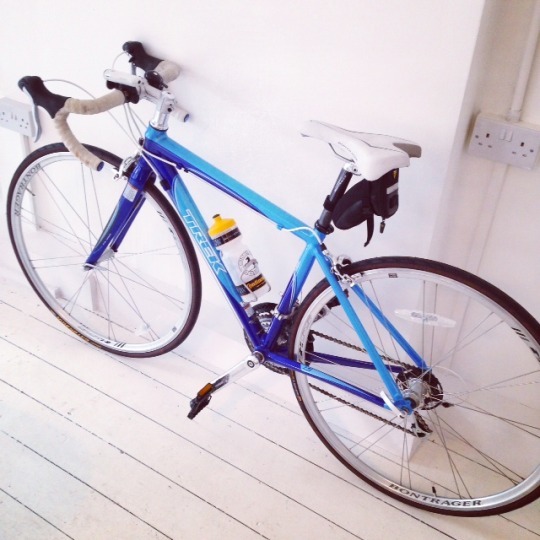 When I powered up the hill between Kings Cross and Angel for the first time the other week I knew that my legs would be strong and capable for the triathlon, especially on my beautifully light racing bike. I’m still struggling with running, mentally and physically. I get bored, my hips hurt and unlike with most other forms of physical activity, I find it very difficult to push myself. However, I’ve decided that enough is enough and I had a session with a running coach the other week. She identified a number of things for me to work on, namely cadence (turning my legs over quicker rather than taking longer strides), levelling my pelvis so I’m not leaning back on every step and trying to land with a heel-toe pattern to maintain the momentum. 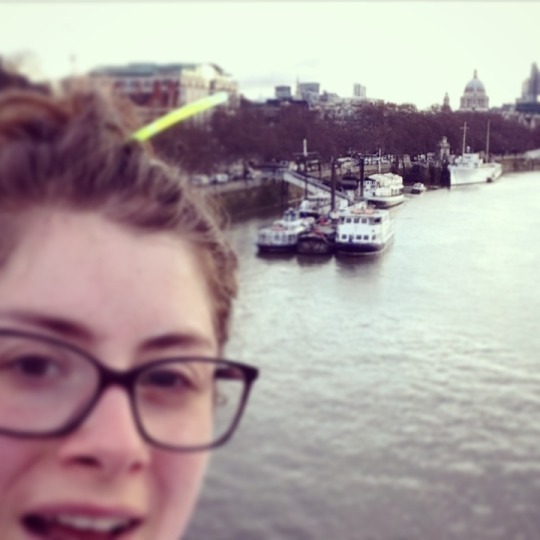 I’m now running at least 5km 3 times each week and I even smashed my 5km PB last weekend by a minute! I’ve been doing much more cross training than triathlon training because it’s more fun, which isn’t really the idea but there we go. 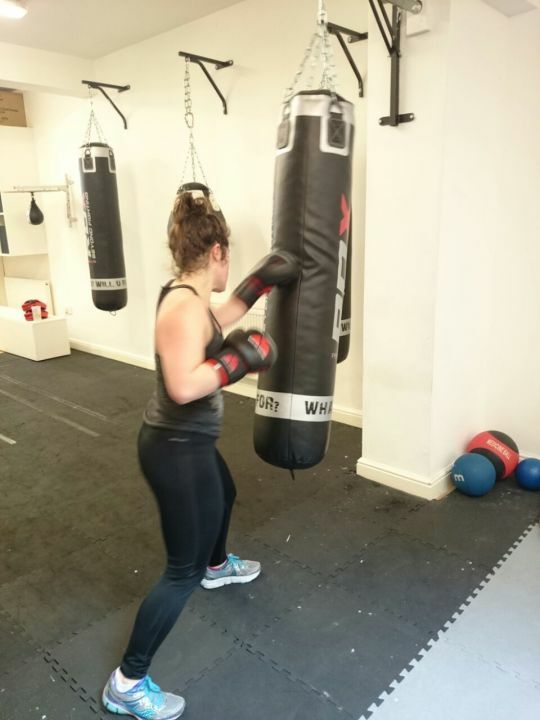 I’ve been boxing, doing pilates and yoga, circuit classes, barre classes and even an aerial fitness class. Now, even though these aren’t triathlon-specific, they will still be improving my fitness, core and overall strength which is already putting me in a much better position to where I was before my last triathlon 3 years ago. What I’m trying to say is that my training and preparation for this triathlon has not been ideal in any way and that’s due to me not buckling down and focusing on it. But because I now relish a physical challenge I’m looking forward to it in a slightly self-punishing kind of way. Watch this space for a race report!